Recently, the macOS, which is referred to as the Mojave is now available for the Mac users officially. Despite making the software updates available for many other older devices for Apple, there are reasons why you have to install the updates. The updates of the MacOS essentially improve the performance, security and, stability of your Mac. Therefore, it is necessary to update the software on your Mac. Some of the important updates include Safari, iTunes, and various other apps that are considered as part of the macOS. The latest and unique features that come up with the latest version of macOS contributes a lot in being more and more productive. So, if you are wondering about how to update the software in your Mac, take help from this article. Here, we are going to provide you with all the guidance that will make your task much easier. For better assistance, you can also opt for professional Macbook Repair Services in Dubai. If you are hesitant to update the software on your Mac, then go through the reasons that are given below. This will provide you with a detailed idea about why you should update the OS Mojave in your Mac. It is the first feature that Apple has introduced in its latest OS version, that is the dark mode. It is one of the most important features to highlight as when you look at the screen, it is the light source that you are looking at. And if you are looking at the light source for a long time, then it might cause eye fatigue. In this scenario, the dark mode will provide you with a lot of comforts as it does not give too much pressure on your eyes and you can feel stress-free even after a long duration of work. Before, it was quite a hectic task to scan or get a photo on your Mac. But with the introduction of Mojave continuity camera, the task has become much easier and efficient. In this app, all you need to do is to select the area where you require the image to appear. Post this, go to the File menu option and then choose the Scan option. This app comes with the Mojave’s bundled apps such as pages, keynote, books, messages, etc. The most attractive update in Mojave is its security features. It provides innumerable security features so that there are no more security risks. For example, in Safari, it has provided intelligent tracking prevention. It essentially blocks attempts to keep a track on the websites that you visit. It also has better password management, such as creating a strong password automatically thereby sending a security code via SMS. To know more, you can contact the most reliable Macbook Repair Services in Dubai. One of the most robust features is the Quick Look. It provides the simplest tools for editing photos without even opening the app. Previewing can also be done very quickly with just a click on the Quick Actions option. The apps such as News, memos, stocks, etc. are better with Mojave. You can easily save the topics that you are watching with News and stocks on your iCloud so that you can find them later on. Voice memos help you to save all the recordings and can easily access them whenever you want. The App store that is redesigned with Mojave, makes the finding of apps much easier. For further assistance, opt for trusted Macbook Repair Services in Dubai. Locate the version of Mac OS you require. Check whether the Mac is compatible or not. Ensure that there is sufficient space on your Mac device. Now, update to the latest version of your current MacOS. Download MacOS from the Mac App Store. Lastly, install MacOS on your Mac device. How to Get Updates for macOS Mojave? Now, the installer will start the downloading process. Once the download process is completed, a pop-up screen on your device will ask for your permission to continue. From the Apple menu, choose the ‘system preferences,’ and to check the updates, click on the ‘software update’ option. Now, click on the ‘update now’ button to install the available updates. Alternatively, you can also click on the ‘more info’ option to view the details for each update and select the specific option to install. Only when the software updates are up-to-date, the macOS is also updated successfully which includes Safari, Books, iTunes, mail, Messages, Photos, etc. Select the “ Automatically keep my Mac up to date” option to automatically install the future updates of macOS. 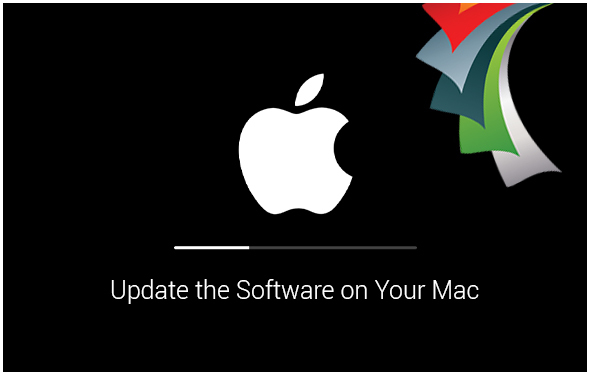 The above steps will provide you detail guidance about how to update the software on your Mac. But in case of any trouble or confusion, it is always suggested to take a professional’s help. Any professional who is experienced in this field can guide you with the best assistance. Therefore, look for the best service provider who can guide you with reliable Macbook Repair Services in Dubai. How do I check for software updates on my Mac? Select the Check for updates check box. What is the latest macOS version? How do I update my Mac software? Click the Updates tab on the top menu. You’ll see Software Update— macOS Sierra. Wait for Mac OS download and installation. Your Mac will restart when it’s done. What do I do if my Mac won’t update? Shutdown the device, wait for a few seconds, then restart your Mac. To open Updates, go to the Mac App Store. To see if files are being installed, check the Log screen.